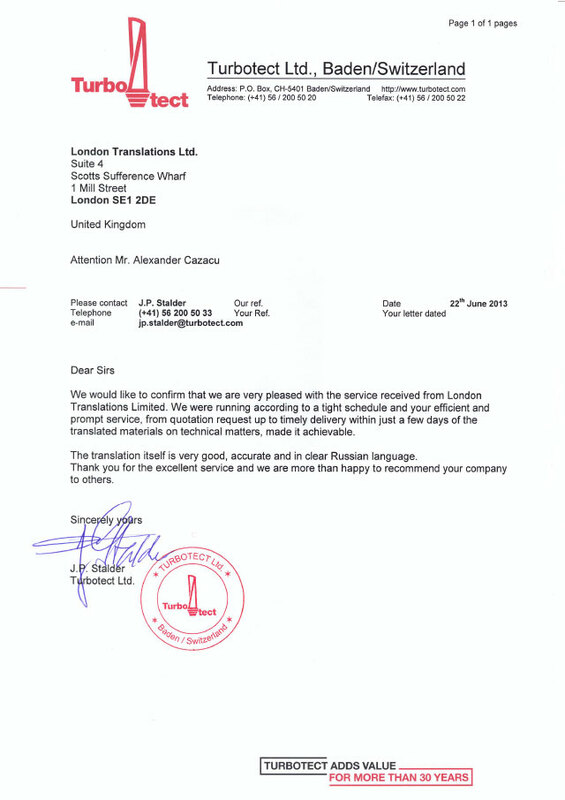 We would like to confirm that we are very pleased with the service received from London Translations Limited. 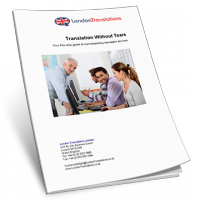 We were running according to a tight schedule and your efficient and prompt service, from quotation request up to timely delivery within just a few days of the translated materials on technical matters, made it achievable. The translation itself is very good, accurate and in clear Russian language. Thank you for the excellent service and we are more than happy to recommend your company to others.